Emotionally sensitive people have some common characteristics even though they also vary greatly. The following are just a few characteristics to consider if you think you might be an emotionally sensitive person. You have a rich emotional life, feeling your feelings deeply and often. Your day is filled with a wide range of emotions and you experience most situations with emotional response. You might laugh and cry within the same hour. Sights and situations that others don't see as emotional can be emotional for you. Maybe as a child you worried about walking on grass, fearful that it hurt the grass. Maybe you worried about the teacher's feelings when your classmates misbehaved. Or when others were laughing at the chimpanzees playing at the zoo you felt sad they were in a cage. You may sometimes keep your emotional reactions or the reasons for them secret because other people would not understand. Emotionally sensitive people react emotionally to most situations and often are quite aware of what triggered their emotions. Sometimes, though, they don't know why they are feeling what they are feeling. Consumed by their feelings, they don't think to determine the cause. However, identifying what triggered their feelings is helpful in knowing how to manage and accept the feelings. If an emotion is justified, like feeling fear because someone looks like they are ready to hit you, then the emotion is giving you important information to act on. Taking action on a justified emotion is helpful, like volunteering to help at a shelter for the homeless when you are feeling sad about their plight. If the emotion isn't justified, then managing the emotion so you feel less emotional turmoil or upset is important. For emotionally sensitive people, environmental emotional triggers are everywhere. Emotional triggers are experiences that bring about emotions. Environmental triggers can be something you see, something you hear, something you smell or something you touch. Even a certain movement, like dancing or sitting in a porch swing, can bring about emotion. The emotions triggered can be from the past or about the present. Some common emotional triggers are television/movies, computers, books, and friends. Television and Movies. Television shows and movies are two of the biggest emotional triggers. Graphic violence or sexual content is often triggering. In addition, to create suspense, scriptwriters often hurl difficult experiences at the characters, putting them in horrible situations. What is entertaining and suspenseful for some can be emotionally painful for the emotionally sensitive. For animal lovers, movies that include harm to an animal can be particularly upsetting. Some people may find seemingly neutral content triggering though is not upsetting to others. What triggers emotions can be different for different individuals. 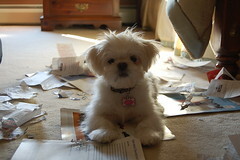 The IRS calls and you're being audited and your dog just chewed up all your receipts. Your husband forgets your anniversary. Your son fails a class. Your best friend talks behind your back. When even everyday kind of bad things happen, emotionally sensitive people feel more fear than others do and often their threat alert system is activated in some way every day. When on threat alert, the brain's defense system is activated to flight or fight. Sometimes people feel paralyzed. Living in paralysis or in fight/flight is exhausting. Germer, in his book The Mindful Path to Self -Compassion puts these responses in three categories: self-criticism, self avoidance/isolation, and self-absorption (Germer, 2009). The world can be a bruising place for emotionally sensitive people. A regular day can feel like being covered in biting, Texas-sized fire ants. 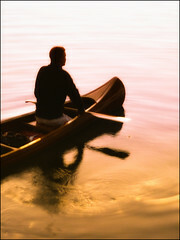 A natural response is to do whatever works to avoid the pain of believing others have judged, rejected or left you out. Feeling powerless to stop injustice adds to the hurt. One option is to wear a mask and hide who you really are--an Avoidance Mask. You know, avoid all the pain and protect your authentic self as well. An Avoidance Mask is different from a Functional Mask. A Functional Mask is one everyone needs. That's the one you wear at work when you need to look like you're in charge even though your daughter just eloped with a guy in a rock band. A Functional Mask is put on for those necessary times, like when famous people don't want to show how sad they are so the tabloids won't figure out they're devastated that they were fired as the star of a movie or television show. With a Functional Mask you feel your feelings and are only temporarily sheilding them from others. Having a functional mask is helpful but often difficult for emotinally sensitive people. So sometimes they choose more permanent masks in an effort to protect themselves emotionally. An Emotionally Sensitive Person is one who experiences more intense emotions than most other people do. When someone is emotionally sensitive, they often hear statements like "Stop overreacting," or "You're so dramatic." Many are labeled as being "too sensitive" because their emotional reactions are quicker, last longer, and are stronger than other people expect. Life is so complicated that we typically try to simplify it, often by putting people and events into black and white categories. But like much of what we tend to simplify in that way, being an emotionally sensitive person is not a you-are or you-are-not kind of descriptor. 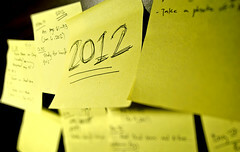 In January people evaluate their progress toward goals they made for the past year. Emotionally sensitive people evaluate themselves and wish they were different than they are regardless of what the calendar says. Change can be positive, but sometimes it's learning acceptance that's really needed--acceptance of who you are instead of judging yourself as unworthy and living in fear of being rejected. Some societies don't understand the concept of judging oneself as unworthy. Our culture tends to be competitive, based on the idea that we have to be "good enough" to succeed, to belong to certain groups, to not be rejected. Many, many years ago being part of a group was necessary for survival. Belonging is still a basic need for everyone. Mother Teresa once said that the greatest disease of our time was the feeling of not belonging. In a misguided effort to gain acceptance from others, some emotionally sensitive individuals repeatedly criticize and berate themselves. But criticism isn't a good motivator for change and often leads to the person feeling alienated from him or herself in addition to feeling "less than" others. That adds more suffering. Happy New Year! Are you making New Year's resolutions? Are you already blaming yourself for not being able to keep them? Wait, before you do that, let's look at how hard it is to make changes. Emotionally sensitive people in particular seem to underestimate how difficult change is, believe accomplishing tasks is easy for others, and then feel badly about themselves when they don't meet the goals they set for themselves. Most of us underestimate how much effort change takes. For example, many of you have a certain way that you hang your toilet paper. Some people believe the right way is to hang it so the paper rolls under and others are adamant that the paper should roll under. If I asked you to change the way your toilet paper hangs, would you? Most people would not. Yet we wake up on January 1 with no preparation and resolve to change our eating habits. We are disappointed that by dinner we've eaten twice the calories we allowed ourselves. The real surprise is that we continue to underestimate how difficult change is.